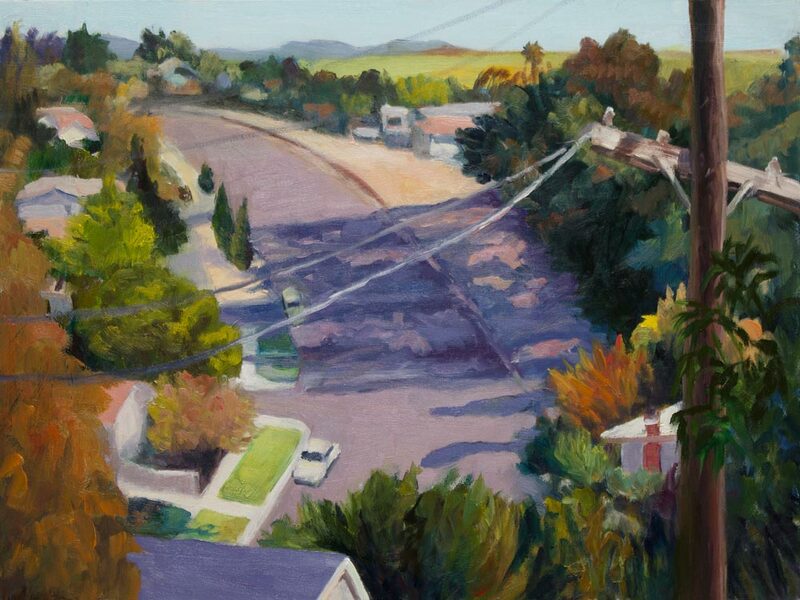 View from Fairmead Park, Oil on board, 9x12"
Sometimes painting in a pretty park with views leads to painting surrounding suburbia (or is it “urbia”?) instead of the park. The scene I wanted to paint (a picnic area between big eucalyptus trees) was occupied by teenage boys smoking pot and I decided to leave them alone. I didn’t think they’d appreciate me setting up my easel and staring at them, and they were there first. Fairmead Park in Richmond is a little, hidden gem of a park. It is almost at the top of a hill with interesting views, the sounds of birds and squirrels, and the wonderful scent of eucalyptus. I got a good start to the painting while I was there and took some photos so I could finish it at home. I tried to focus on values, color and getting the paint down and leaving it alone and I really like the way it turned out. 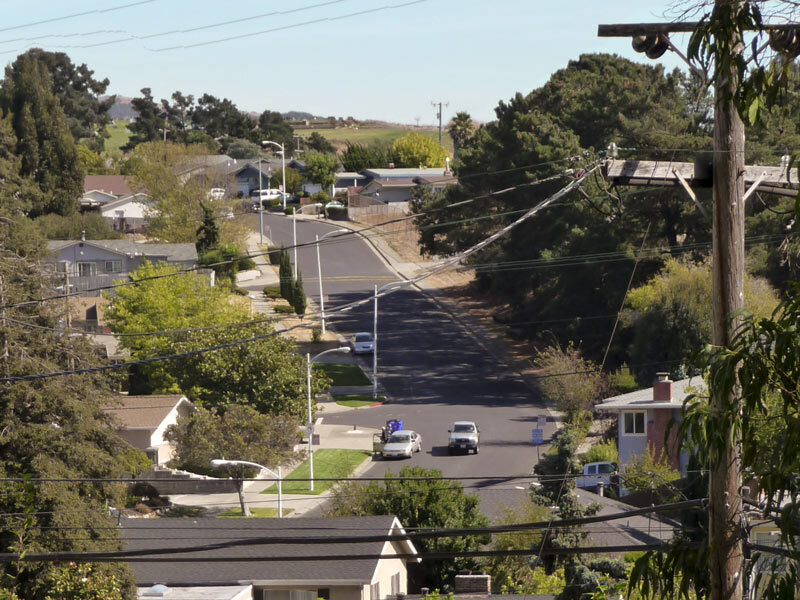 So is this Suburbia or Urbia — it’s on the edge of a very urban area in the town of San Pablo but it looks pretty suburban, doesn’t it? Next Post: Painting a Painted Pumpkin Until….Ewww! Your painting turned out very well! I love the narratives that accompany your paintings. What a charming painting – so much more inviting and warm than the reference photo. I think this is a big step forward! Luscious paint strokes. Really nice! I liked the angle you chose to so this work and also showed how to focus from reference, beautiful job!